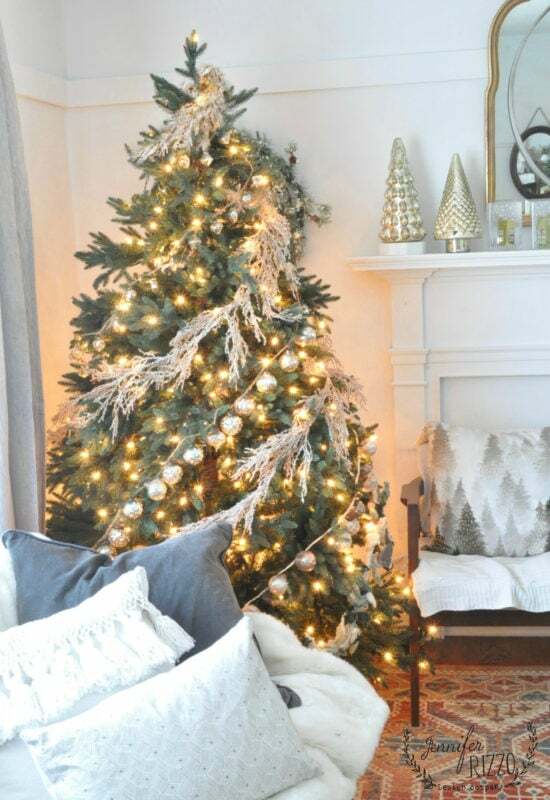 Welcome to another Seasons of Home holiday series, holiday family room edition! 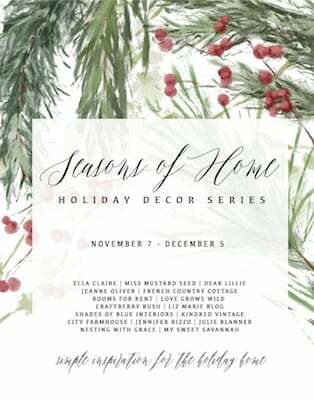 I am excited to start to get my house decked out, because next week is my annual Holiday Housewalk!! Since our home is on the cozier side, our living room is actually a room we use a lot, as a second family room! We all hang out and drink our coffee there in the morning, and in the evening, when we spread out around the house, the kids will read, and hang with us, and watch videos on their phones (I’m only being slightly sarcastic.). Our holiday family room is a little on the simpler side this year. 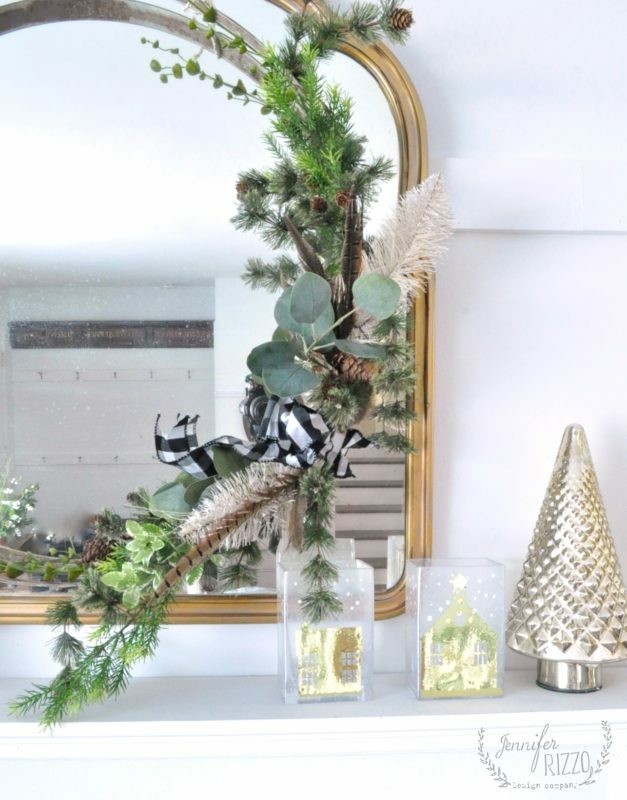 We have partnered with HomeGoods to add some special touches of holiday decor. One question we’ve always gotten is where our TV is. We don’t have one in this room. We actually only have ever had two TV’s in our entire house (and one is in our room.). It’s actually nice to have one room in the house that has no electronics at all, this is also my favorite room to read in. I picked up this rug in the fall, and I love the color it adds to our room! It looks great with the coffee table I sanded down to natural wood and topped with white wax. I’ve been looking for a new small settee, to replace our other one, but haven’t found one yet. I did decide to try it on the other side of the room for now. I moved our two MCM chairs to just in front of the faux mantel. I found that I was in a tree-themed mode this year, and once I found these beautiful water-color pillows from HomeGoods, I decided to just kind of run with it. I love how even with all of the greenery, my snake plant looks fun and fresh between the chairs. 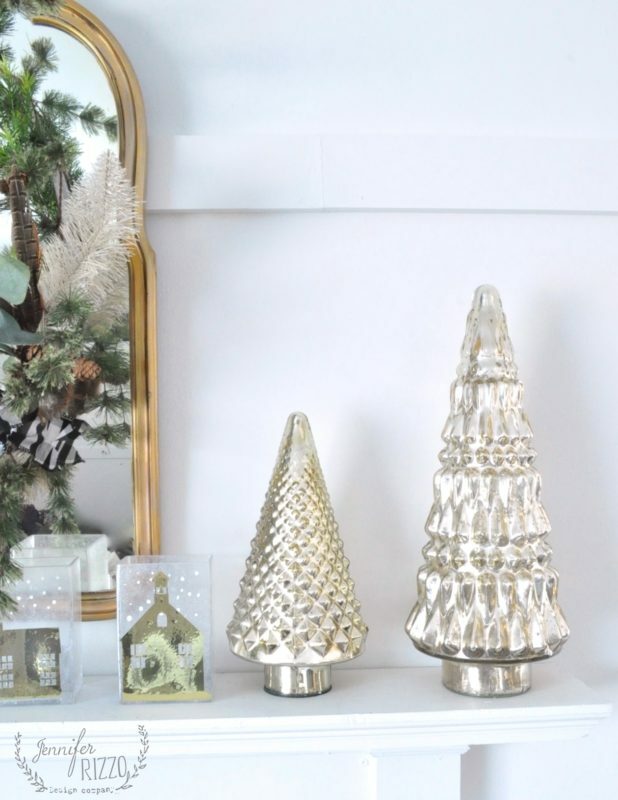 I saw these beautiful mercury glass trees that are on the mantel at Homegoods, and I paired my DIY village lluminaries with them. I love mercury glass and metallics in the winter! It adds such a nice bit of sparkle when it gets drab outside. You can see how I made the luminaries here. 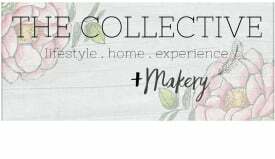 I took our retail store, The Collective lhe + Makery, on the road for a few weekends, and had a booth at a few holiday shows. My friend, Julie, makes these amazing metal wreaths and was next to me this last weekend… and of course I bought one to add to my holiday family room decor. I love how it looks with the mercury glass trees! 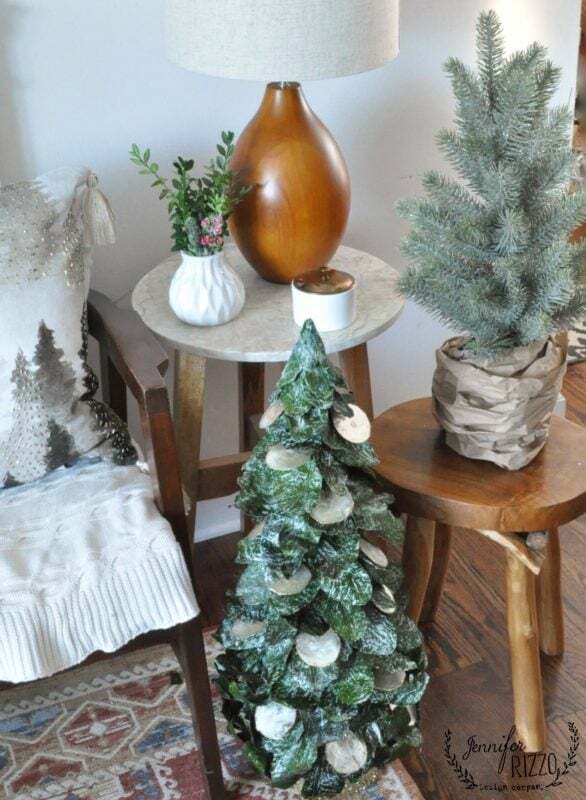 I scooped up this really amazing preserved leaf tree that had agate slices on it at HomeGoods,how awesome is that? I am going to keep it out all through January. I added a smaller one on top of a natural wood stool I found there too, and put a bit of boxwood from my garden in a vase. 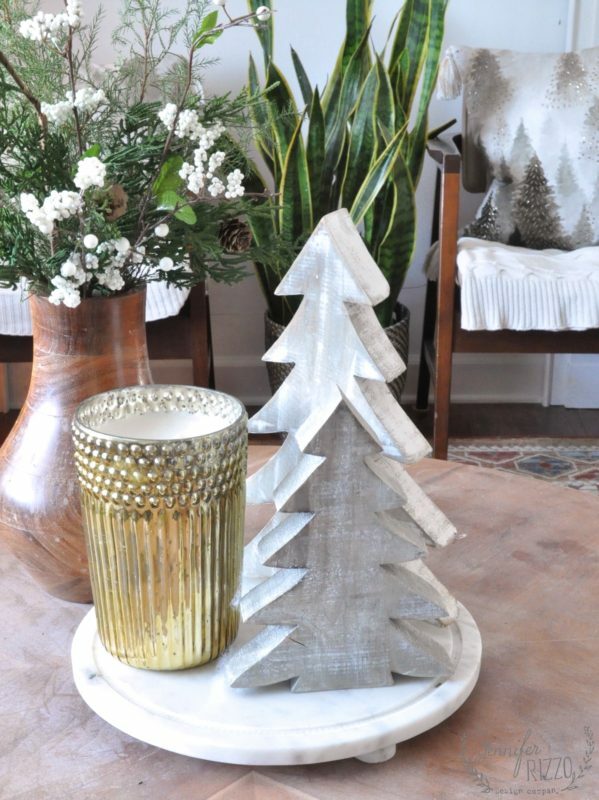 I kept my coffee table somewhat simple with some wooden trees and a beautiful, glistening ,gold mercury glass candle from HomeGoods. On the couch, I added a giant,soft faux fur throw from HomeGoods. I am waiting to see how long it lasts in our living room, because I find that really soft, fluffy throws seem to make their way to the kids room and totally disappear. Occasionally, I will find them coming back downstairs, wrapped around a pajama-clad body, and then head right back upstairs; never to be seen again. The tree is really simple this year. I might add a few more ornaments, but for now, I really love the frosty and mercury glass ball garlands looped around with the white lights. I hope you enjoyed a look at my holiday living room. 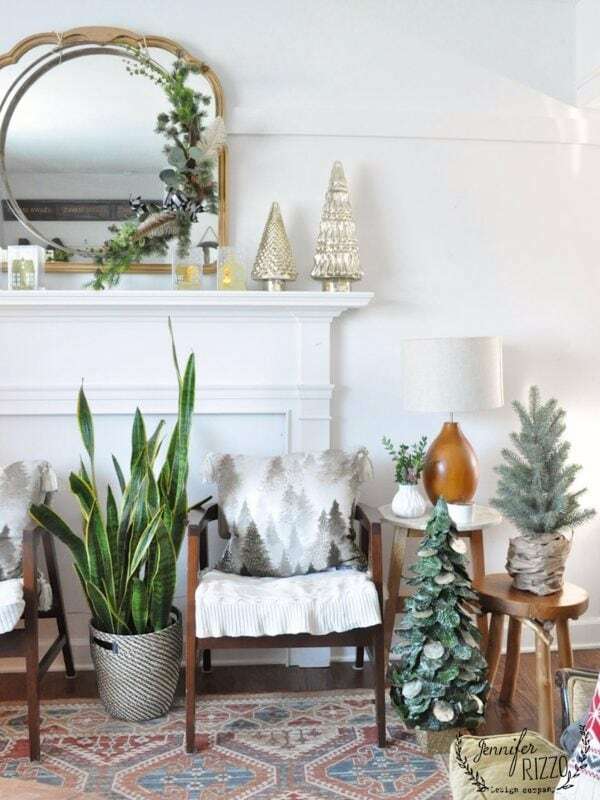 Make sure you visit the other Season’s of Home bloggers to see their beautiful holiday living rooms! Oh, wow. I just love this room. Of course, it’s decorated beautifully, but what I love is that fact that it looks collected rather than orchestrated. Does that make sense? These photos are drop-dead gorgeous, but the room doesn’t look staged; it looks like a place where a real family could actually gather. Your family is blessed to have you to create beautiful spaces for them! Thank you for the inspiration. Your room is beautiful! I love that you guys use your living room EVERY day! That is exactly how it should be! 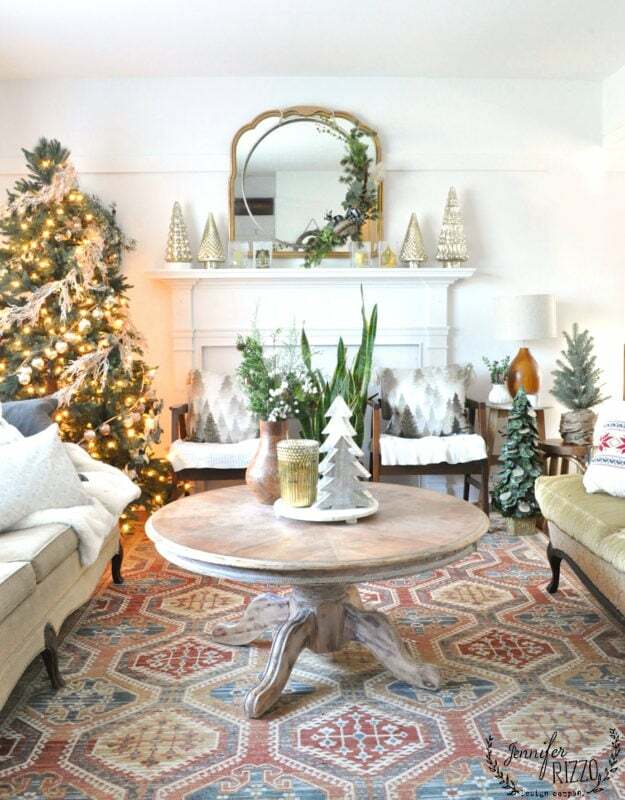 What a lovely Christmas space! 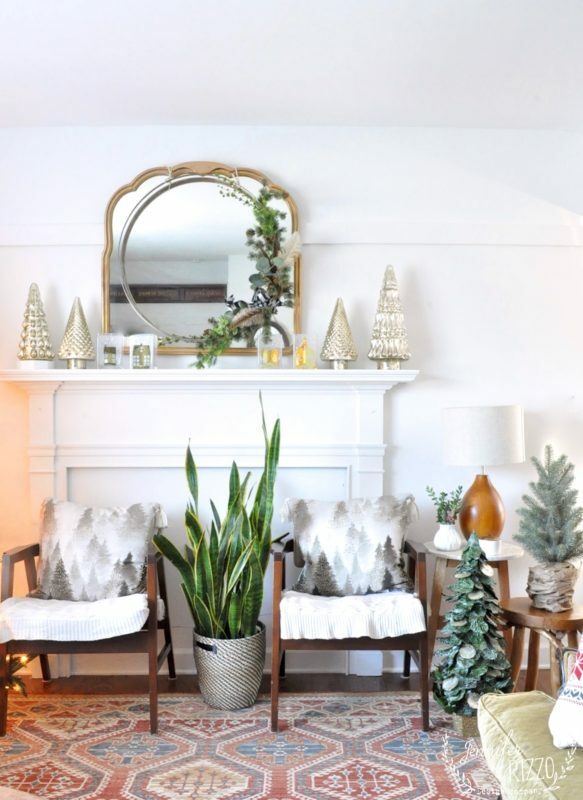 I am in love with the mercury glass trees on your mantle and the tree pillows too. 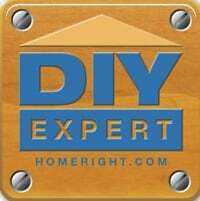 And your rug ties all the undertones in the space together really nicely. Beautiful!